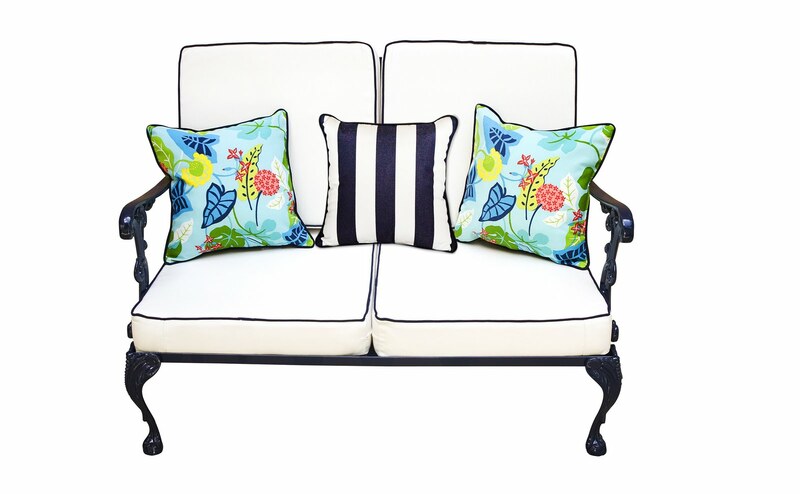 This high-gloss navy laquered settee definitely lives up to its name - "Coco Chanel Meets Palm Beach". 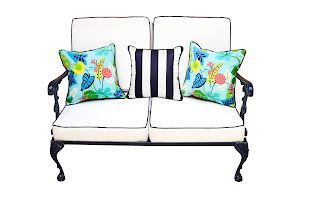 I love the chic white cushions trimmed in navy piping and the mix of traditional and tropical in the accent pillows. A gorgeous example of structure, shape and color combining to make a fantastic piece!